Tanguy Ndombele has been very important for Olympique Lyon in the previous years and now it looks like it might be his time to move on. After earlier rumours that Manchester City are interested in the French midfielder, newest story is that current English champions will be facing a competition from Paris Saint-Germain. According to L’Equipe, the holding midfielder could be a part of a real battle, as the two incredibly rich clubs are both eager to see Ndombele in their ranks. Manchester City have been in desperate search of a replacement for Fernandinho and Ndombele is rumoured to be one of the potential signings to make that situation better. However, with PSG in the race too, Ndombele’s price might grow exponentially. PSG also want to improve their midfield and the talented 22-year old is one of their potential solutions. 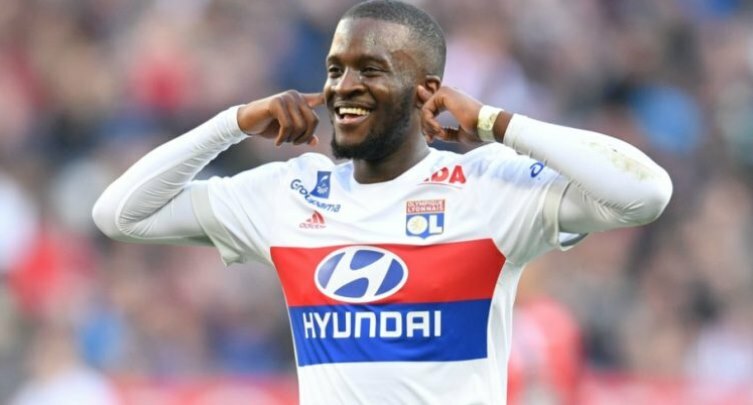 Ndombele has made 39 appearances this season for Lyon in all competitions. Lyon are currently third in Ligue 1 and are on their way to secure another season of Champions League football.